Consumer confidence toward applying for a mortgage is down slightly, according to the Federal Reserve Bank of New York ’s Feburary 2017 Survey of Consumer Expectations Credit Access Survey. Of those surveyed, the number of those who were “too discouraged to apply” across all types of credits increased to 7.1 percent from 5.7 percent in its last release in October 2016. In addition, application and rejection rates dipped in February. Applications fell from 42.3 percent to 39.9 percent, while the rejection rate fell from 9.9 percent to 8.5 percent. With mortgages, more people feel discouraged to even apply. In October, 34.2 percent of those surveyed felt like they would be rejected if they were to apply for a mortgage, compared to 41.4 percent in February. However, slightly more applicants are looking to apply for a mortgage, up to 8.8 percent over October’s 7.5 percent. The share of those who plan on refinancing their mortgage decreased to 8.4 percent, from October’s 12.2 percent. CoreLogic ’s Housing Credit Index  (HCI) confirms the trend. “Refinance volume will decline with higher mortgage rates, and lenders generally will respond by applying the flexibility in underwriting guidelines to make loans to harder-to-qualify borrowers,” said Dr. Frank Nothaft, Chief Economist at CoreLogic, in a statement on the Index. The drop in confidence does not match the actual data, however. As consumers worry about rejections, the actual rejection rate increased only moderately from October to February, from 13 percent to 13.3 percent. 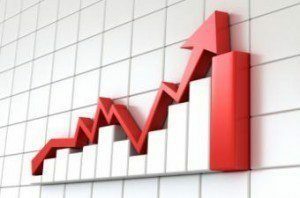 Although less consumers plan on refinancing while more fear they will be rejected, the rejection rate for mortgage finances dropped from 23.6 percent to 10.8 percent. Additionally, CoreLogic’s HCI showed credits scores rising over the past year. The average credit score for homebuyers in Q4 2016 rose year-over-year from 733 to 737. View the Federal reserve Bank of New York's report here .